Find mileage from Portland, Salem, Corvallis, Albany and Eugene to Oregon coast towns, as well as between coastal towns. 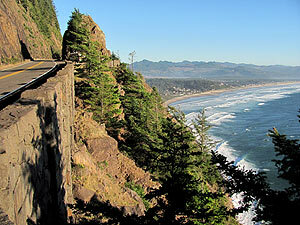 Find the best routes to the Oregon coast from the valley. Mileage charts are approximate and can change depending on what route is taken to the Oregon coast. Click on the links for further maps of each area and detailed mileage, distance between beaches. Southward of here includes southern Oregon coast towns Coos Bay, Reedsport, Gold Beach, Bandon, Coquille,, Brookings, etc. Note: Portland to Manzanita route can also be Hwy 26 to Hwy 53, about 70 miles, which then takes about 25 miles to Manzanita, Wheeler or Nehalem. However, due to the winding nature of 53, it still takes a little longer than going straight down 101, depending on traffic on 101. 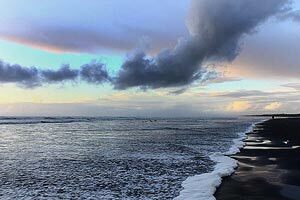 For details and mileage between beaches in that area between Yachats and Florence, see the Upper Lane County Virtual Tour. To Astoria, Seaside, Cannon Beach and Manzanita – take Hwy 26 to coast. 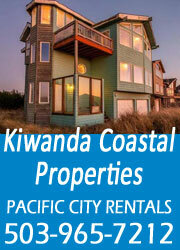 To Manzanita, Rockaway Beach and Tillamook Bay and Pacific City - Take Hwy 6 (exit is on 26 just west of Hillsboro). To Lincoln City, Depoe Bay, Newport, Yachats and Florence – take Hwy 18 west, which takes about two hours to Lincoln City. Or take I-5 down to Salem (appx 45 miles), then take Hwy 20 west until it becomes Hwy 18. This can shave off 15 minutes to as much as a half hour to Lincoln City. Or take I-5 south to Corvallis, then Hwy 20 west to Newport. This can also shave off some time to Newport or Yachats. For Florence: either take the scenic route down 101, or take I-5 down to Eugene (about 110 miles), then take Hwy 126 to Florence. 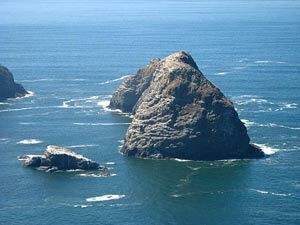 To Astoria, Seaside, Cannon Beach and Manzanita – take I-5 north to Portland, then take 217 exit near Lake Oswego, following “Oregon Beaches” sign – take 217 to Hwy 26, then to coast. To Manzanita, Rockaway and Tillamook Bay - take I-5 to Hwy 217 again, then to Hwy 26 again, but this time take Hwy 6 exit just outside Hillsboro. 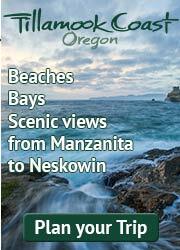 Take Hwy 6 straight to Tillamook: Manzanita and Rockaway are just north. Oceanside, Tillamook and Pacific Ctiy are west or southwest. To Tillamook, Pacific City, Lincoln City, Depoe Bay and Newport and Waldport – take Hwy 22 west, which eventually turn into Hwy 18 heading over the coast range to the beach. To Newport, Yachats and Florence – You can also take I-5 south to Corvallis, then Hwy 20 west to Newport. Or take I-5 down to Eugene (appx 60 miles), then take Hwy 126 to Florence. Note: Hwy 34 from Corvallis to Newport is extremely winding and long. It is, however, a stunning scenic route, if you have the time.